President Pranab Mukherjee has signed an order that allows state boards to skip the uniform medical entrance examination, NEET , for a year. The ordinance- or executive order - cleared by the Cabinet is aimed at "partially" overturning the Supreme Court order. Medical Council of India (MCI), in 2013, notified single entrance examination for admission to MBBS and postgraduate medical courses. Through the scores of NEET, aspirants could apply for admission to any college of their choosing across the country. This was, however, not applicable to the states of Andhra Pradesh and Jammu and Kashmir, Telangana and Tamil Nadu. 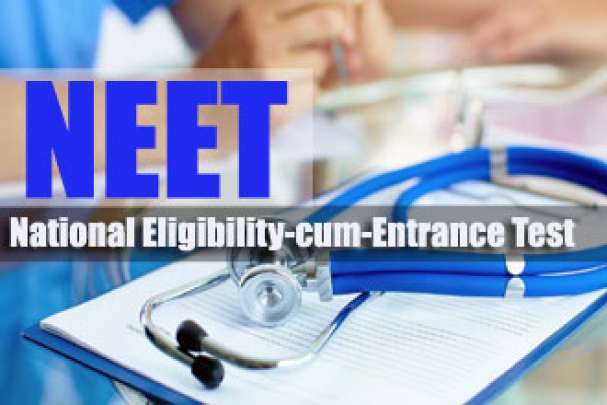 The Supreme Court struck down NEET after a few institutions moved the Supreme Court contending that having a common entrance test violated the rights of minority institutions. Several states including Andhra Pradesh, Karnataka, Kerala and Tamil Nadu opposed it saying it infringed on their rights as education is a subject in the state list. The Supreme Court passed a judgement calling the test 'unconstitutional' as it deprived state-run universities and colleges the right to evaluate students on criteria set by them. Fifteen states urged Union health minister JP Nadda to approach the Supreme Court to implement the centralised test for the 2017-18 academic year, citing difficulties in implementing the NEET in the current academic year. Non-CBSE candidates will be disadvantaged as there is little tme for them to bridge the prepare for the difference between state board syllabi and the CBSE curriculum. Absence of regional language options meant students from non-English background would find it difficult to score well in the NEET. April 11, 2016: The Supreme Court allowed review petition and recalled the 2013 judgment. This meant that NEET would be conducted from 2016 academic year. April 28, 2016: Petition filed in the Supreme Court, putting pressure on the government to conduct NEET this year. The Supreme Court allows NEET to be held in two phases: NEET-I that was held on May 1, and NEET-II to be held on July 24. The combined result of the two tests are to be announced on August 17. April 29, 2016: Government moves the Supreme Court seeking modification of the order that allowed state governments and private colleges to hold separate entrance examinations for MBBS and BDS courses for the academic year 2016-17. April 30, 2016: The Court declines to issue an urgent order to modify its directive to hold the common all-India medical entrance test in two May 1, 2016: CBSE conducted the first phase of NEET. As many as six lakh candidates appeared for the exam. May 1, 2016: CBSE conducted the first phase of NEET. As many as six lakh candidates appeared for the exam. May 20, 2016: Cabinet clears an ordinance to postpone the implementation of the NEET to academic year 2017-18 for state boards. This decision was slammed by opposition parties who allege that the decision favoured private medical colleges over students.